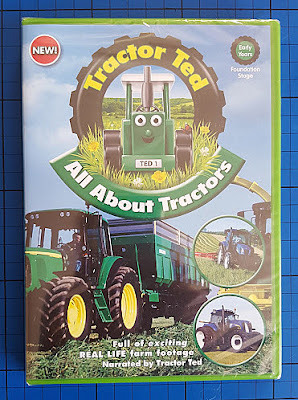 Tractor Ted has been delighting children for over 13 years with his friendly farm antics, bringing the countryside into the living rooms of children who live even in the biggest cities. The range of Tractor Ted products available to fans is huge, and there is even a Tractor Ted show which tours the UK. 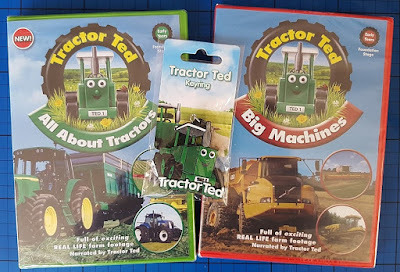 This giveaway is for 2 Tractor Ted DVD's and a Tractor Ted keyring. I was given them when I went to the Talk To Mums event last month, and while they're great, my boys are getting a bit old for Tractor Ted. They won't get properly used here, so I'm sending them to one of my readers. Tractor Ted DVD's feature real life footage, the lovable Tractor Ted (he also narrates) and incorporate song and music. They are ideal for preschoolers. 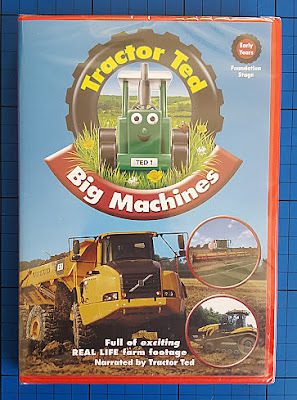 Big Machines (rrp £8.99) 40 minutes of the mightiest of farming machinery. Combine Harvesters feature quite heavily. 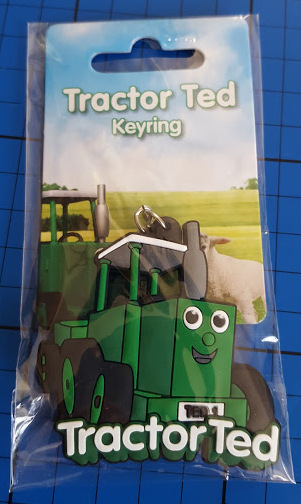 I'll also include this Tractor Keyring - which is frankly just very cute! One of my readers will win the two Tractor Ted DVD's and the Tractor Ted keyring. To enter the giveaway please use the Gleam form below. The giveaway will end at midnight 30th November. UK entrants only please. Ohhh I love campervans too - I would love a pink campervan with daisies painted on the sides and a blue roof with a rainbow! Maybe once the kids have flown the nest, I can sell the house and buy my dream campervan to live in! I like motorbikes my husband had one and I loved going on the back. Oh No Tractors really impress me as i grew up on a farm! Lorries as thats what my partner drives! Tractors, I live in Norfolk and they're pretty much everywhere! JCB diggers, they are very impressive, though I wouldn't like to be in charge of one. Trains, especially steam trains. When I bought my house many years ago the clincher was that it was very close to the railway tracks- I love hearing them go by as I find it comforting (probably because my childhood home was by the tracks too). If I hear a steam train coming I drop everything and burst outside to see it going by! Airplanes are my favourite - I LOVE flying. I loved motorbikes as a teen, and even wanted to restore an old one I was planning to co-buy with a friend. Until I saw another friend die on a motorbike in a motorway crash when I was 7 (I'd been travelling separately in a car and it was pure coincidence that I was caught up in the same crash, which wasn't the motorcyclist's fault). These days, I'm a big fan of camper vans because I like the idea of doing a road trip around Europe in one! I love sports cars but my boyfriend was OBSESSED with tractors when he was a child. His younger brother loves them, too! I've always liked mortorbikes, but my little one is fascinated with tractors so he'd love these. My other half loves vintage tractors - my son now love Massey Fergsons! I feel like I'm missing something lol!!! I think its got to be a digger!!! Tractors have never impressed me either, living and driving in a rural area! I think I'm most impressed with lovely big motorbikes like Harley Davidsons! I love a Routemaster bus. I like trains, as long as they're not crowded. Ice cream vans amazing invention! I like the racing cars and my son loves rubbish trucks! We like tractors...unless I get stuck behind one on the way to work. Motor home - they are bigger than the camper vans.